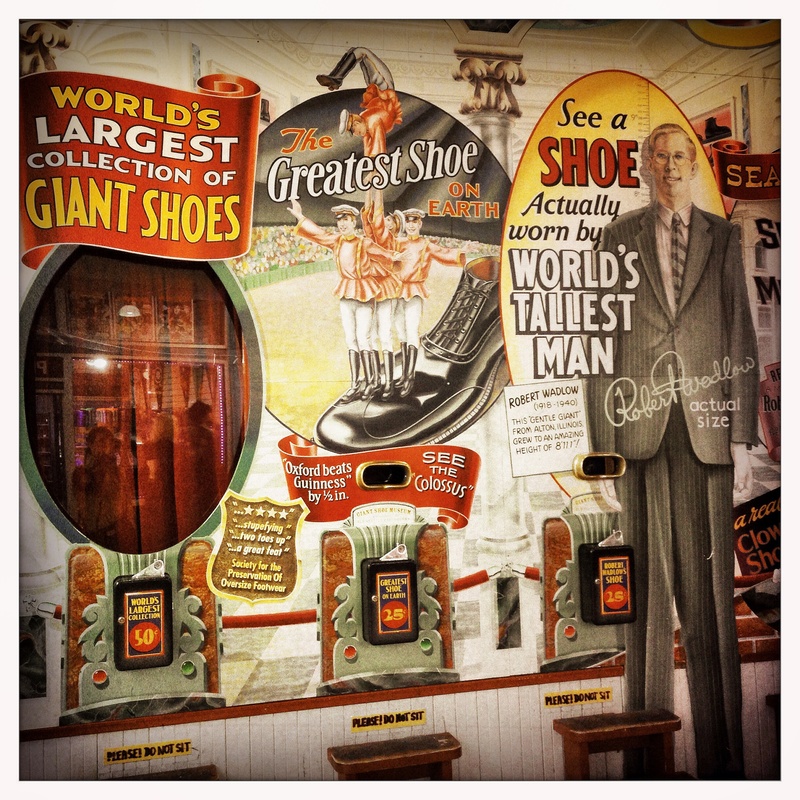 World’s largest collection of giant shoes? Now THAT I’d like to see! Very cool photo! I love quirky stuff like that. Seeing images of Robert Wadlow always reminds me of a short film of him drinking from an average sized coffee cup, and seeing how it would disapear completely in just one of his hands.